John Timpson is not your average businessman. Now in his 70s, he has developed a reputation as a straight talker who believes running a business is mainly about applying common sense. Timpson has written four management books, including his most recent, Keys to Success – 50 Secrets From a Business Maverick. He has also fought and won a boardroom battle in the 1970s to regain control of his family’s then 100-year old firm. He has mortgaged his house twice to the tune of £2 million (€2.3m) to fund acquisitions and last, but not least, he is the brains behind a very successful recruitment template based on the Mr Men characters. Asked why Mr Men, Timpson, who is chairman of the £130 million (€150.5m) turnover Timpson Group, which has 1,900 outlets providing shoe repair, key cutting and dry cleaning services, says “because for us recruitment is all about personality”. 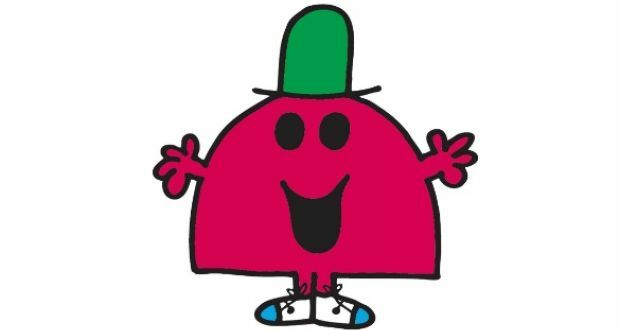 For those not brought up on Mr Men books, the extended Mr Men family is populated by characters such as Mr Chatterbox, Mr Busy and Mr Cheerful who clearly fit the Timpson ethos whereas Mr Crosspatch, Mr Grumble and Mr Grumpy do not. But it’s not quite that simple. Over the years, Timpsons has developed its own particular form of Mr Men-inspired personality profiling. “We took the idea a step further and created caricatures to fit the needs of our business,” Timpson says. “We have a list of 18 characteristics we judge people against, nine positive and nine negative. “There is nothing unusual about the interview itself. It is conducted in the normal way but with our criteria in the background prompting the interviewer to identify the type of personality sitting in front of them. If someone ticks all the right boxes then we put them in a shop for half a day with someone who knows our business and see how they get on. This tells us anything else we need to know about them. Also helping staff retention is Timpson’s “upside down” approach to management which gives each outlet a great deal of independence. For example, store managers can make their own decisions around pricing and compensation if something goes wrong. And the company’s bottom line appears to bear him out. Pre-tax profits were up 65 per cent to £10.3 million (€11.9m) in 2015. Timpson trust also extends to employing those with “a past” and some 10 per cent of the company’s 5,200 employees have a prison record. Social responsibility was also a feature of Timpson family life. Timpson and his late wife, Alex, fostered 90 children during the course of their long marriage. His son, James, has been running the business day to day for the past 15 years but his father remains very involved. “I visit a lot of shops and I’m involved in the strategy and in protecting the company’s culture,” he says. Timpson’s has a very flat management structure with no regional offices as area managers are either in their cars on their way to outlets or in outlets talking to people. Expansion is still very much on the agenda and the company recently moved into the Chinese market. Timpson says he is always on the lookout for more high street services to add to the company’s portfolio although he draws the line at hairdressing salons and tattoo parlours. Timpson’s advice to anyone running their own business?